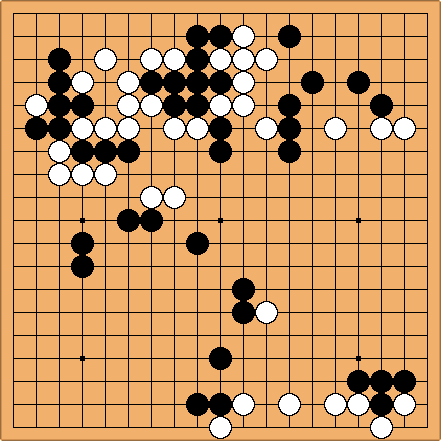 The following game appears in the manga and anime series Hikaru no Go. 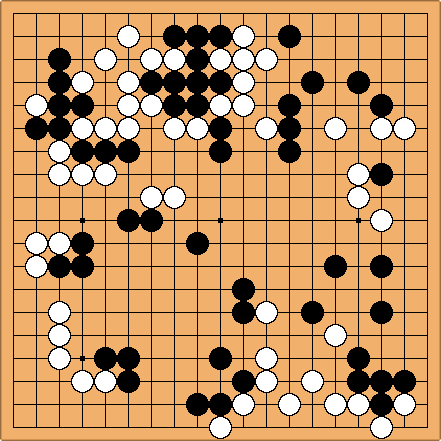 A character, Kaoru Kishimoto plays Black against Akira Toya. Kaoru begins the game with hoshi on the top right. This is an incomplete final board position. Especially on the right side and in the bottom left corner, stones are missing. This is how the final board looks in the anime.